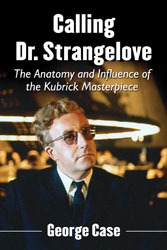 Hey Brother and Sister Zep-heads - I'd like to take the opportunity to let you know about my new book, Here's To My Sweet Satan: How the Occult Haunted Music, Movies, and Pop Culture 1966-1980, just released in print and e-book from Quill Driver Books. 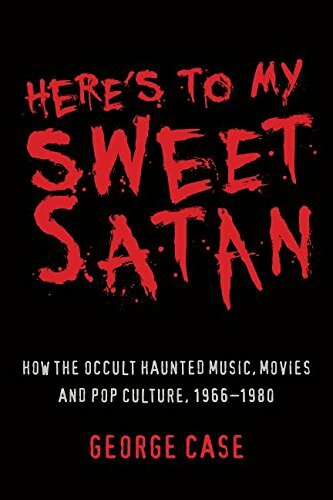 Here's To My Sweet Satan is an entertaining and informative social history of the occult boom of the 1960s and 70s, covering everything and everyone from The Exorcist and The Omen to the Bermuda Triangle, Anton LaVey, Charles Manson and Count Chocula. And yes, it contains plenty of analysis of the (real or imagined) occult influences on the rock 'n' roll of the era, including Black Sabbath, Kiss, The Rolling Stones, AC/DC, and a certain English quartet we all know and love. Anyway, hope some of you will get a chance to check it out. Oh, and I'm pretty sure I don't have to explain the significance of the title Here's To My Sweet Satan to Led Zeppelin fans, do I? George, congrats on publishing another book. If you've got links to share for those interested in purchasing a copy please do so. Meanwhile, I'll see what I can find. Good Luck on this new book endeavor. I will probably purchase it sometime in the near future. I am currently re-reading George R.R. Martins first book, "Game of Thrones" which is over 1,000 pages. I plan on continuing (re)-reading all the books again (in sequence) and that will amount to over 6,000 pages of written words. However, I plan on reading your new book. I am somewhat fascinated about reading about the Occult, although I am in no way a follower of such. I am a voracious reader about any things that captivate My attention. Hi George will your Jimmy bio ever get on iBooks? I know it's in a variety of e-book formats (e.g. Amazon Kindle, etc.) but you may have to search around to find the one you want. Good for you mate, I will pick up a copy this week. Just curious, do you include sections on The Process Church and Scientology in there as well? Scientology was started by ex-Thelemite L. Ron Hubbard and The Process was an offshoot of Scientology. Most people do not realize the impact and influence Crowley's work has on contemporary society...even if that work is a bastardization. Scientology? The Process? You bet your sweet Aiwass they're in there! Hope you get a chance to enjoy the book. No kcor! Woo hoo !!! Glad to see you are really getting into the thicket with this. If people were only aware of the thread of the occult which runs through the Arts, business, and even politics, well, lets just say it would be quite the revelation.